Posted on May 10, 2012 by Big Red	in Funny Booty, Geeky Booty and tagged deviant art, lily fox, toy story, toy story concept art, toy story redemption. We want this, we need this on our wall. 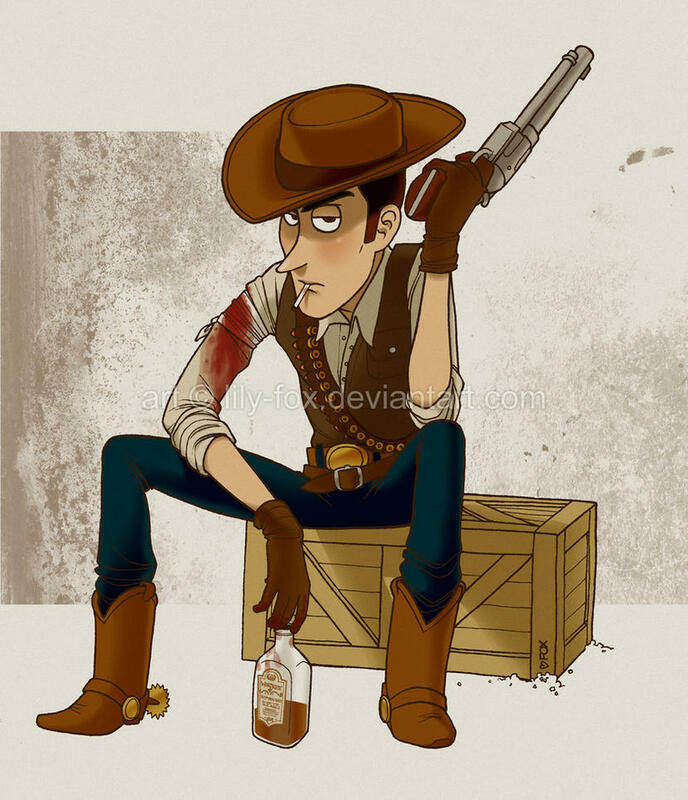 Entitled Toy Story Redemption artist Lily Fox has portrayed the lead character Woody, of the highly successful Pixar movies, as a wounded, post-shootout cowboy taking a break for a much needed nicotine and alcohol fix. There’s a subtle reference to Red Dead Redemption in this piece and you can view the rest of Lily Fox’s amazing work over at Deviant Art. ← Avast! Trailer For Gangster Squad.